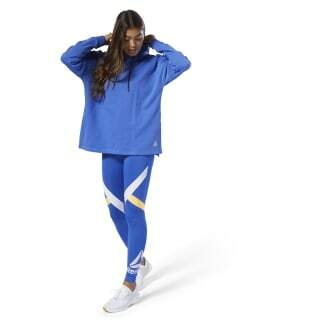 The loose shape of this women's hoodie easily layers over your workout clothes. 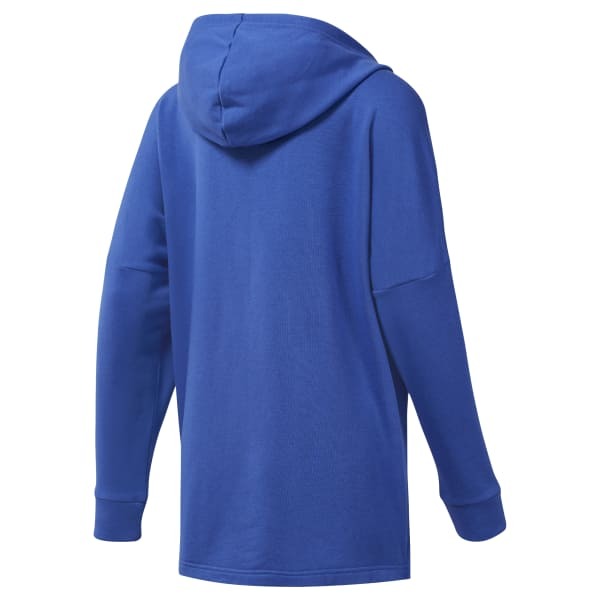 Whether you're warming up or lounging after a workout session, the soft French terry build of this pullover keeps you comfortable. The sweat-wicking design means you'll be cool and dry wherever you are. Side slits offer added mobility.